I am fawning over these pretty and beautiful pom-poms right now. They are made from 100% bio-degradable and recycled tissue paper! They are made by Karen Hsu of Pom Pom Factory!! I cannot get over all these fantastic colors, and how whimsical these photos are! 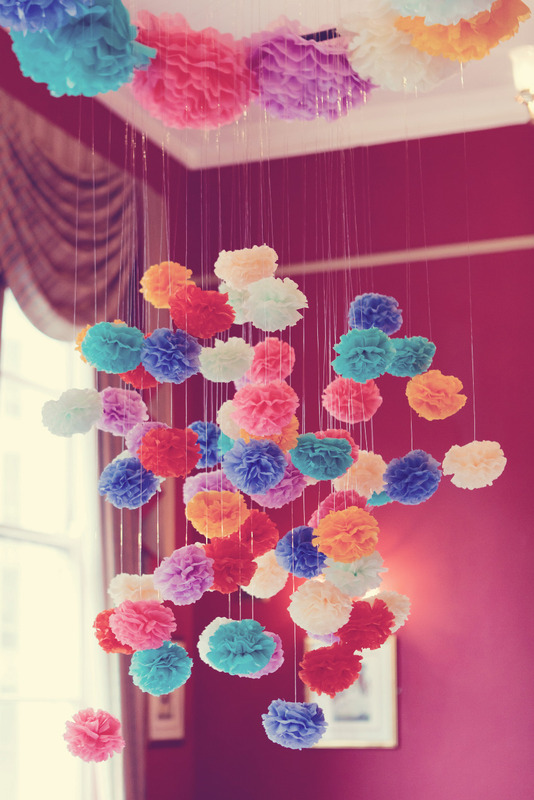 Can I also say that I am obsessed with pom-poms, they are so much fun! I remember making some for my sister's bridal shower, but it was not nearly as extravagant as these beauties! How do you like them?! This makes me want to get creative ASAP! this looks so beautiful :) love the shots! This is such a great idea for DIY and inexpensive party decor! Those are really pretty..I can totally see decorating with those for a pretty tea party-themed birthday party or a baby shower. I love the photos of the pompoms. Very artistic and original.